Working closely with staff, volunteers and the board you will lead the development of a new strategic plan designed to have a significant impact on QuAC’s future, culture and the way it achieves organisational goals. You will nurture existing stakeholders via extensive consultation with and mobilisation of members, community and government to address the needs articulated by LGBTI+ Queenslanders and the communities in which they live and work. QuAC is looking to increase its capacity through increased funding via government grants, community partnerships and philanthropy. Therefore you will develop significant relationships required to ensure the ongoing sustainability of the organisation. Besides ensuring high quality program services you will provide leadership in both the HIV and sexual health sector and the diverse LGBTI+ communities. You will ensure that QuAC and its communities have a strong voice in health, welfare, legal and social reforms. You are currently a senior executive at either CEO, director or GM level and have developed your career and reputation as an inspirational leader in community focused sectors including LGBTI+, health, human rights, social justice or community law and housing. If representing the Qld LGBTI+ community is a career and personal goal then please contact Louise Furlong or Richard Green on 07 5530 8066 to discuss your interest or apply by sending a cover letter addressing the skills required above and a CV in MS Word format, quoting #34403. 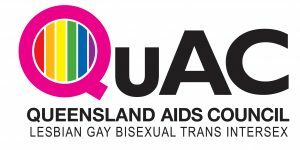 The Queensland AIDS Council (QuAC) offers and supports multiple programs to improve the health and wellbeing of LGBTI+ Queenslanders. QuAC programs work across the entire LGBTI+ population to address concerns related to health, ageing or wellbeing. QuAC also engages with specific groups and identities to focus on their unique and specific needs whether it’s sexual health, inclusivity training or various health action groups. QuAC partners with other community organisations to implement treatments and testing technologies and with the latest advances in HIV there is hope that the aim of ending HIV transmissions in Australia by 2020 will be realised. QuAC is funded by government grants, community fundraising, donations and sponsorships.